Like all gasoline engines; keeping the oil changed in Honda and Acura cars is vital for long life. 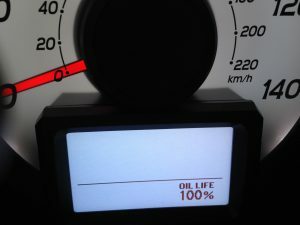 Most Honda and Acura vehicles now have an ‘oil life indicator’ and the remaining ‘oil life’ is usually measured in a declining percentage. Most dealers will instruct the Honda or Acura car owner to change the oil and filter when the oil life indicator drops to “15%” oil life remaining. However, the oil life indicator is based on a 7000 to 8000 mile oil change interval. Oil changes are ‘dirt cheap’ on Honda and Acura vehicles when compared to the cost of a major engine repair. All experienced Honda and Acura automotive technicians will tell you that keeping fluids and lubricants changed regularly in Honda and Acura vehicles is a wise investment. Most Honda and Acura car owners heed this advice, understanding that preventative maintenance is the key to the long service life and reliability. 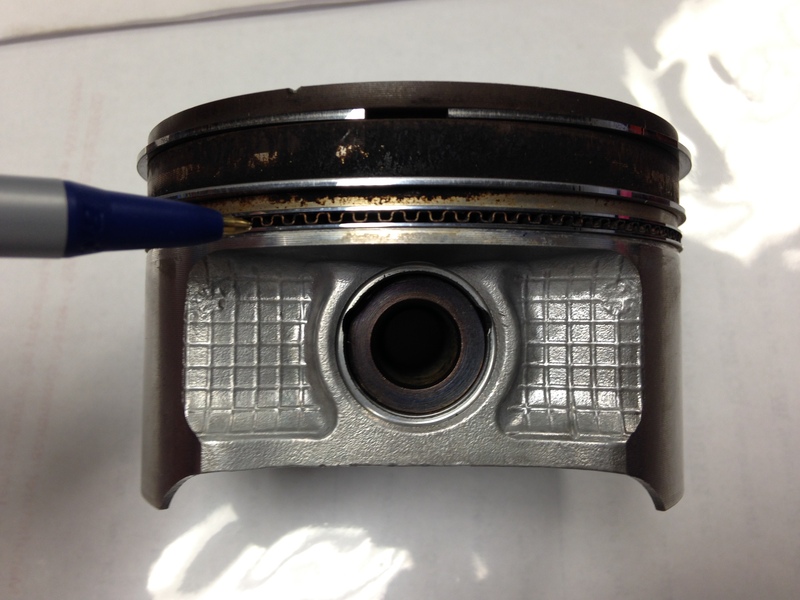 The long expected service life and reliability is precisely the reason most consumers buy Honda products. 2012 Honda Pilot Oil Life Indicator – Many Honda and Acura dealership service departments instruct the car owners to change the oil when the oil life goes to 15% – That’s based on approx. an 8000 mile oil change interval. 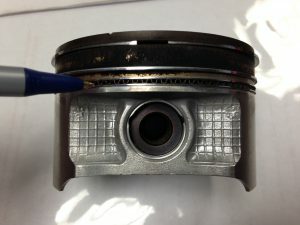 If Honda and Acura car owners consistently use the oil life indicator as the reference for their oil changes or simply choose not to change the oil in their engine; the oil control ring holes in the pistons (behind the oil control ring groove – see photos below) can get clogged up with the contaminants that are suspended in the dirty engine oil. When these happens, the engine starts consuming oil. Honda / Acura Piston – Oil Control Ring Drain Holes – When these get clogged-up, the excess engine oil that has been wiped from the cylinder walls with the oil control ring has no where to drain through. The engine will start consuming oil. Accurate Automotive still strongly recommends changing the engine oil & filter on all Honda and Acura cars every 3500 to 4000 miles. Oil changes are much cheaper than new engines or engine overhauls, catalytic converters, and new cars. 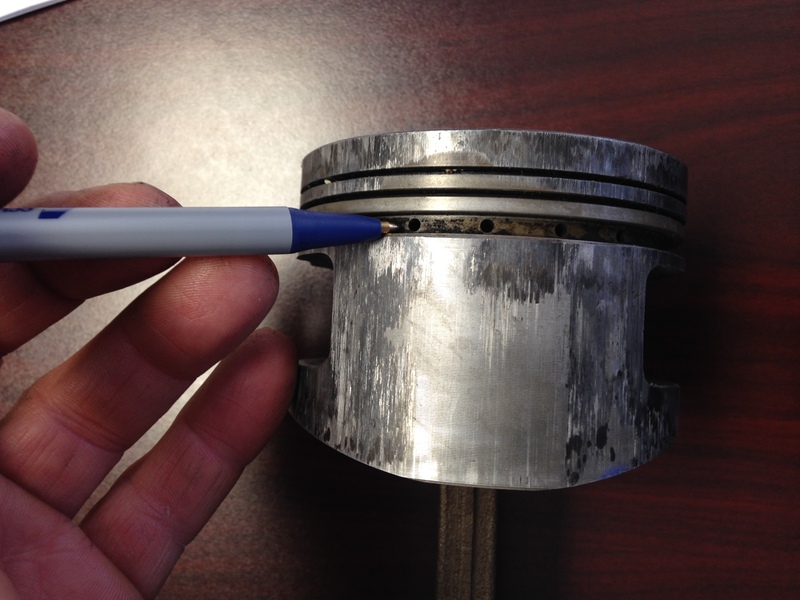 The technical staff at Accurate Automotive have been working with Honda and Acura products for decades. Daily, they encourage their Honda and Acura car owning customers to simply keep the fluids changed. Service and preventative maintenance is CHEAP compared to major car repairs. Come in and see how they can help keep your Honda and Acura automobiles running significantly longer than you would expect. Keeping your Honda and Acura maintained at Accurate Automotive will give you confidence in taking that long road trip when your vehicle has over 200,000 miles on it. Come in and see why we are the best place in Nashville and Middle Tennessee to purchase, service, repair and maintain your Honda and Acura vehicles.